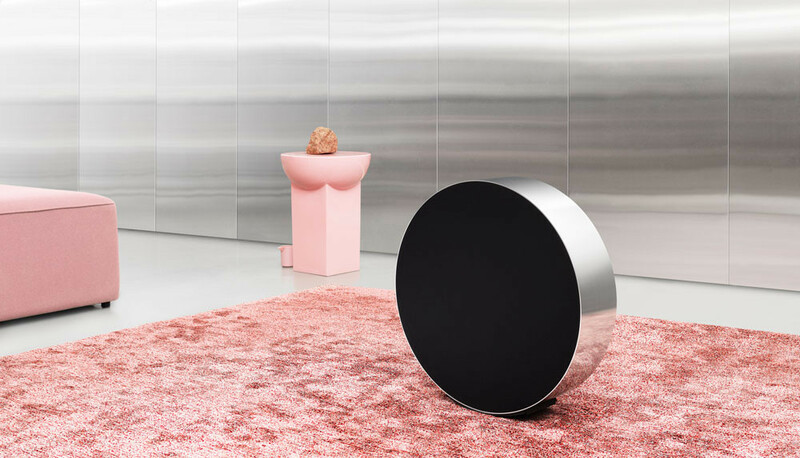 Recently, Danish luxury audio brand Bang & Olufsen launched a new wireless speaker for home stereo sets called the Beosound Edge. The new product, a new innovation, will help users reimagine their experience and enjoyment of home audio. Sonically, Beosound Edge has a surprisingly powerful audio quality despite its compact size. The new product draws on Bang & Olufsen’s acoustical technology to deliver impressive bass capabilities through the brand’s huge 10’’ woofer bass driver on one side of the speaker, which has an innovatively slim design and long excursion. Both sides of the speaker, meanwhile, enjoy a dedicated 4-inch midrange and a quarter-inch tweeter. Furthermore, the new speaker also delivers a powerful sound experience at high volume through its ground-breaking acoustical technology named the Active Bass Port. The speaker unites a loudspeaker’s closed-box and ported design through the port, which allows the most accurate sound reproduction when you play your music at lower volumes. Once you turn up the speaker’s volume, however, the port will open to output a more energized bass sound. Not just capable of producing sonically superb output, the speaker is also visually beautiful. The brand created the new speaker in collaboration with globally acclaimed London-based designer Michael Anastassiades. They worked together to create yet another thoughtful product design from the brand, which transforms the mundane experience of day-to-day life into musical mastery in a product that design adds aesthetic value to its owners’ homes. The new speaker’s design, however, goes way beyond just improving its looks; it also helps to enhance the product’s audio quality in response to your room setting. Its circular shape allows for two placement option: whether on the floor as a stunning stereo system centerpiece, amplifying and blending in with the colors of the furniture standing next to it, or placed on the wall as a true gravity-defying statement that divides spaces in the home. The speaker also give you better control regarding sound direction, with its 360-degree room-filling sound coming from both sides of the speaker. The new directional sound control also helps you adjust the direction from which the sound radiates, creating two acoustic fronts from the speaker. Thanks to the feature, you can divide your room into active as well as passive listening areas. Then the speaker also boasts a proximity sensor, which detects you when you get close to the speaker and adjusts its sound according to your proximity to the speaker. You can also roll the speaker forward and backward gently to adjust its volume. You roll it softly to change the volume moderately. To change the volume in a more dramatic manner, just touch it more strongly. To allow the speaker to roll back to its original position, just let go of it. “With Beosound Edge, we are bringing forward a timeless design masterpiece that inspires listeners’ imagination with an interaction and experience never before seen in home audio,” Bang & Olufsen concept manager Kresten Bjørn Krab-Bjerre said. “From a distance, the speaker looks monolithic and discreet, hiding everything that suggests technology, yet it is unforgettable in sound performance punching above and beyond what you would expect for the size of the speaker,” Krab-Bjerre continued. 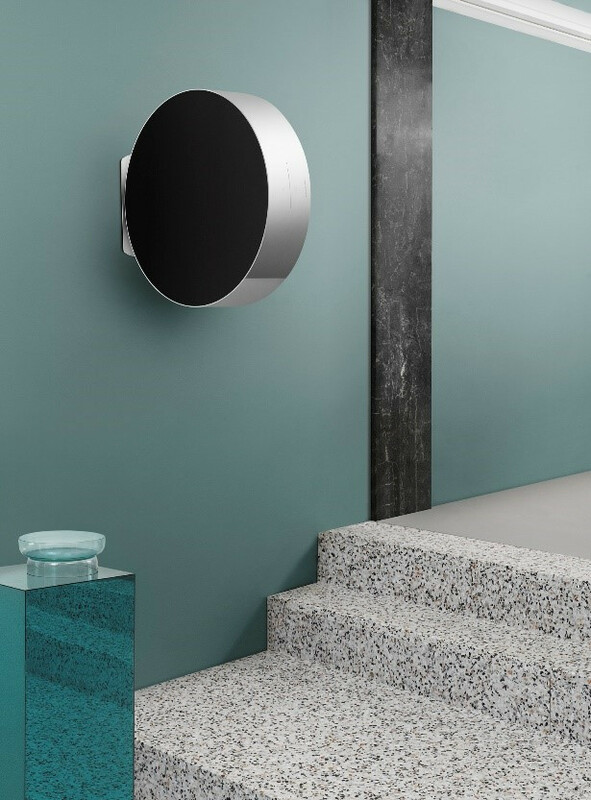 Visually, the speaker looks great with its use of aluminum, a material that Bang & Olufsen has been using since the 1950s. Remarkable craftsmanship and attention to detail are required to achieve the speaker’s perfect circular frame and to polish the exterior to a flawless finish. Bang & Olufsen also added some invisible microscopic holes into the aluminum frame in order to allow light to shine through the speaker’s outer body. Designer Anastassiades used a matt black fabric cover for the Beosound Edge’s aluminum body. The black fabric surface almost draws you in, an illusion created by minimizing the transition between the two surfaces and using matte fabric to contrast the reflective shine from the aluminum ring. “Visually, the speaker looks quite surreal as an object, because of the sudden depth change. 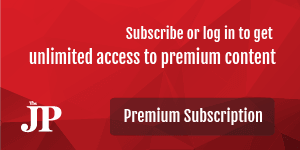 A gap between the two materials would have allowed visual tolerance to exist. Here, there is no visual tolerance, thereby, the in-between space does not exist anymore [for viewers to see], which is amazing,” Anastassiades said. “We constantly pushed ourselves to distil the idea of removing layers upon layers until what remained was a visibly pure and simple object. What happens when you experience a visually complex product? Once the novelty of the complexity’s impact dies out, there is nothing left for you to wonder at,” he added. “Visually simpler products, however, have nothing to give you that startling first attraction; neither do they give visual disturbances. When you see it the second time around though, you start to pay attention to it and by the third encounter, you become even more intrigued [by how the product looks],” he concluded.